Most of the time the library is the place you go to find published information, like books, articles, and journals. But what about your own work? What if you, as a creator, have something you are ready to share with a wider audience? 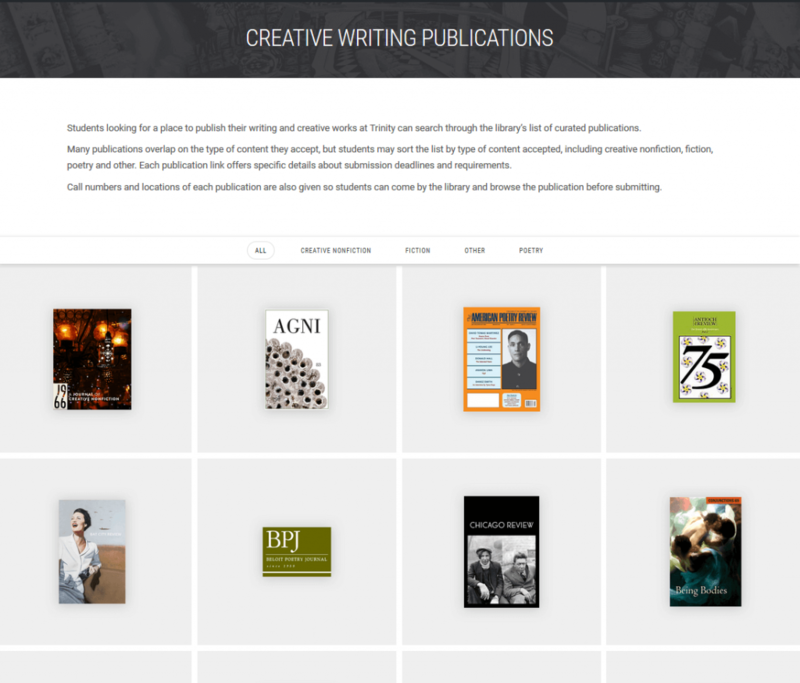 If you do any kind of creative writing and are ready to take that next step, check out the library’s new creative writing publications page. It lists all the literary magazines and journals available in the library, some online and some in print. Not only can you find out where these journals are, but you can also sort and filter the page to find the right journal for your work, whether that’s fiction, nonfiction, or poetry. 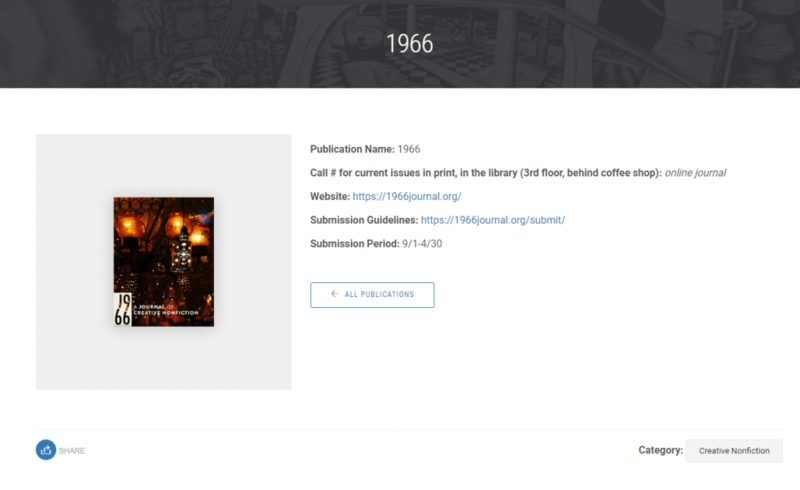 In addition, if you click on the journal image, you can find out important information about the submission process, specific types of work accepted, and a link to the journal’s official website. While some of these journals are pretty selective, others actively seek previously-unpublished voices. Most are pretty up-front about this on their submissions page, so read carefully…and good luck!